Every year, a few times a year, I am faced with the question of centerpieces. Cut flowers are pretty and generally okay, I guess . . . but they tend to be expensive, not to mention difficult to transport, oftentimes fragile and, in the long run they’re inconvenient. They cannot be prepped very far in advance, but they also don’t last long past the date of the event – rendering them VERY high maintenance for the limited time they’re used. THUS, over the 4+ years of event aesthetics-coordination I’ve undertaken at work, I have continued to seek out new and innovative centerpieces. For example, one year, we had fish as centerpieces. Now, even though there were 15 VERY delighted new-fish families afterward the event ended, I would probably never do that again just because of the sheer logistical headaches it caused. 15 mini-fish-bowls and gallons of water later, I decided that I should go more towards practical instead of interesting in the future. As a result, over the years, we’ve wound up doing some very fun pieces, including candy-jars, silver leaf branches and several others. 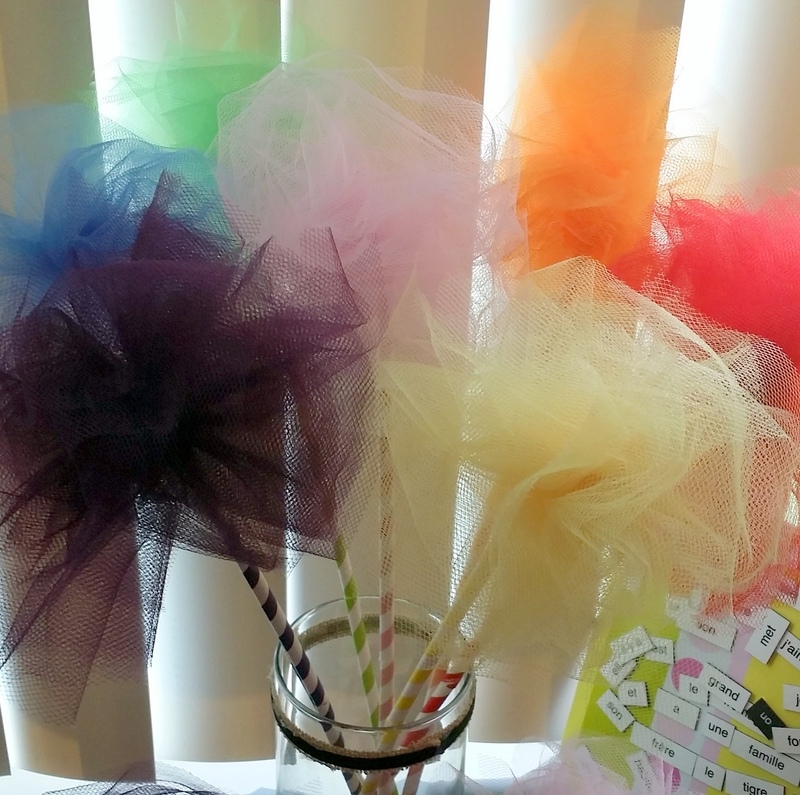 This year, with an impending Candyland themed prom, I thought I would share the latest innovations in centerpiece decor in the form of a tutorial. 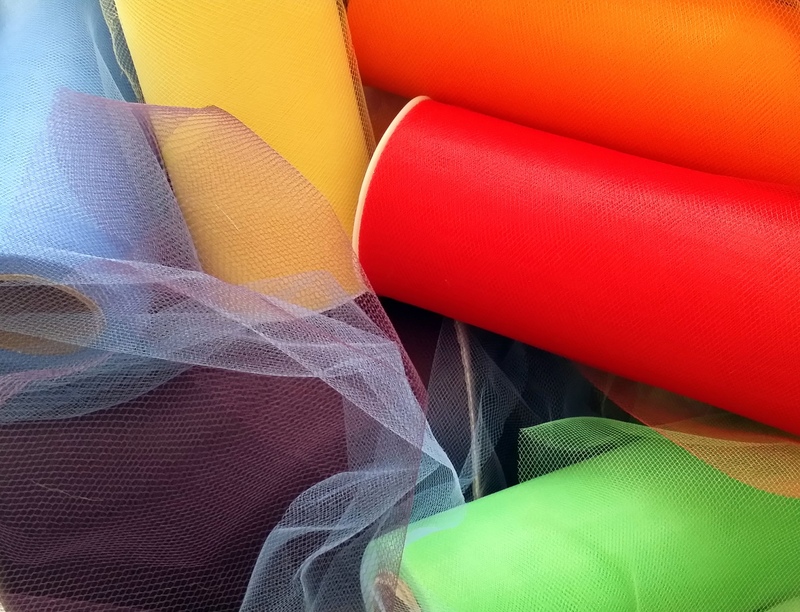 Cut 5-6 foot strips of the tulle/gauze ribbon- each strip will make one “flower” or puff, so plan accordingly. I found that 7 of them filled a typical vase nicely! This step is a little self-explanatory. I eye-balled about 5-6 inch folds in the ribbon. 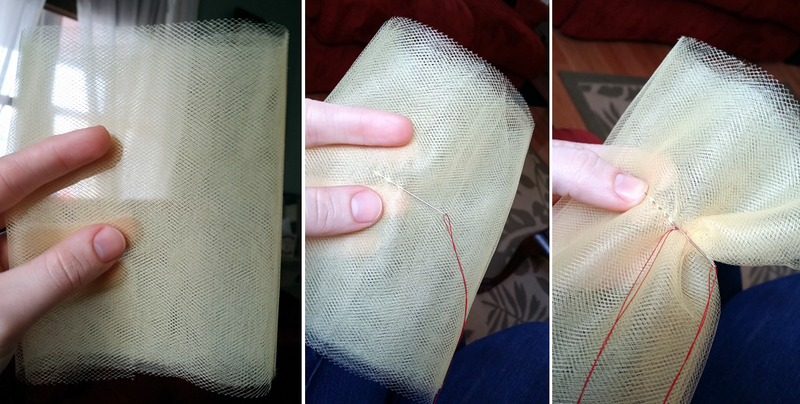 If it helps your measurement sensibilities, wrap the tulle around a book which you can then slide it off of. At the end of the fold ‘n roll stage, you should have a loose-yet-neat little coil (pictured below on the right). 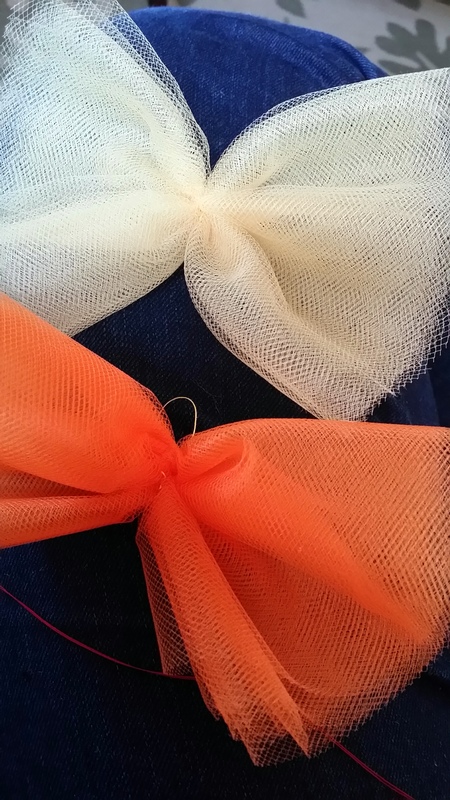 Once you have your little packet of tulle, sew straight across the middle , effectively making the piece bow-shaped. I sewed from the middle out, just to make sure it was a reinforced and tight cinch in the middle. 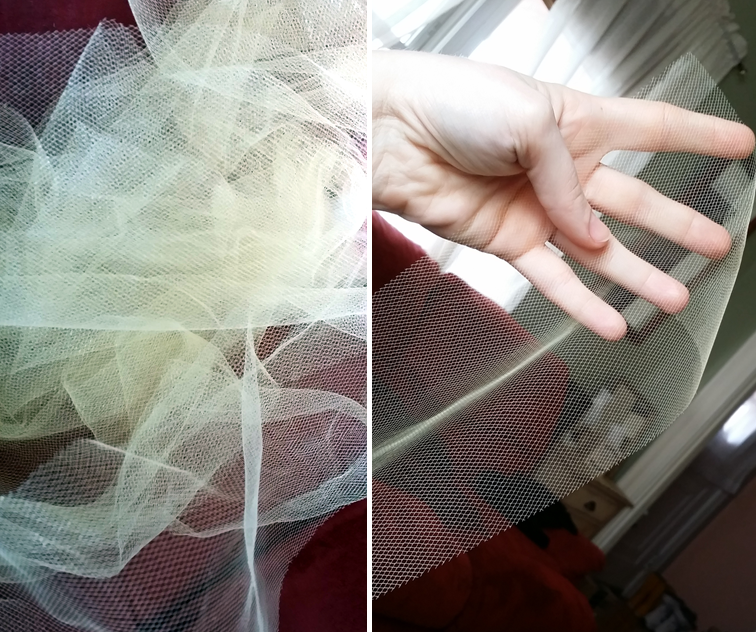 At this point, you just take the bow-like creations that came from Step 4 and shape them, peeling them out layer by layer so that the tulle gains some shape and starts to resemble a blossom. Step 6 – Hot Glue! There is no picture for this part, because I had my hands a bit full. First I hot-glued two paper straws together for each “stem”. I put the hot glue directly into one end of a straw, and then took the second straw and creased it so that it would fit easily into the other straw, attaching them where I had just put the hot glue. That done, I dabbed hot glue onto the base of each tulle puff and held the straw-stem in place for a moment while it began to set. Step 7 – Finishing Touches! 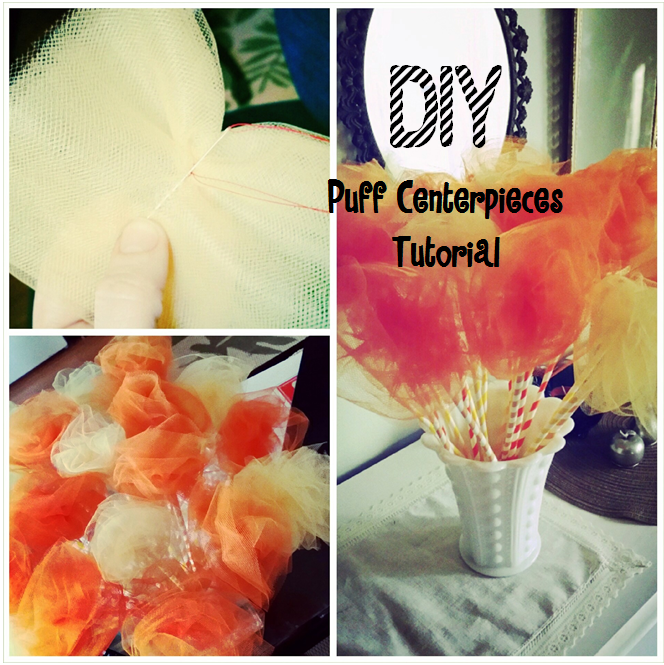 Remove any loose glue-strings and arrange the stemmed tulle puffs as desired in your vase of choice. Then, step back and survey your handiwork. They are like a miniature garden of hothouse Truffula Trees! They are so colorful and bright!! !